February is Grow the Love Month for Holly's House, Inc.! The best way for Holly's House Inc to earn more is to have more supporters registered with eScrip, and you can help! 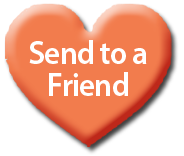 In fact, while you are helping your group Grow the Love, you can win one of 5 $100 VISA gift cards! Full details here. • Every time you forward this message, you are entered in the drawing! Forward to 5 friends and be entered 5 times - plain and simple. Every New supporter in February will be included in a separate drawing for one of 5 $100 VISA gift cards too — hopefully it is one of the folks you forward this email to! Please visit www.escrip.com/howitworks and join eScrip today. Holly's House Inc can earn more funds for valuable projects, plus, If you sign up in February, you can win one of 5 $100 VISA gift cards! Full details here.